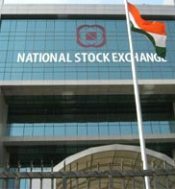 India's National Stock Exchange has emerged as the world's largest bourse in terms of the number of trades in equity segment during September. As per the latest data compiled by the World Federation of Exchanges, a total of 11.64 crore trades took place in the equity segment of NSE in September this year, making it the world's largest exchange on this category. The exchange, which traded for 20 days during September, has recorded about 11 per cent increase in number of trades in the equity segment compared to August. NSE was followed by Korea Exchange and NYSE Euronext at the second and the third positions respectively. While Korea Exchange recorded a total of 11.18 crore (111.8 million) trades, the number of trades at NYSE Euronext (US) stood at 9.64 crore in their respective equity segments during September. Moreover, the NSE has maintained its numero uno place in the Asia-Pacific region for the nine month period from January-September, 2012.
trades during the month in its equity segment. While the total number of listed companies is much larger in case of the BSE, the exchange lags the NSE significantly in terms of volume and value of trades. Other bourses that made their place in the top 10 were Nasdaq OMX (4th), Shenzhen SE (5th), Shanghai SE (6th), Tokyo SE Group (8th), TMX Group (9th) and London SE Group (10th). At the beginning of the year, NSE was leading globally in the equity segment, however it lost its rank in the period between April and August to Nasdaq OMX and NYSE Euronext (US). While NSE stood in the third place in the months of April to June and improved its position to the second slot in July and August.